Every year we offer you professional workshops lead by lecturers from Slovakia and abroad. Fill in the application form and become a part of the festival! To participate in the professional workshop you need to bring your own instrument. Find the details about the lecturers below. Carlinhos Percussão was born in Sao Paulo and now lives in Portugal. He performs as the resident percussionist of the band of the international artist Anselmo Ralph, with more than 200 live performances among Europe and Africa. Carlinhos is one of the best percussionists of a present time known to a general public but also to artists and professionals. Gabriel Policarpo is a worldwide known Brazilian percussionist, he established Batuquebato and Pandeiro Repique Duo projects. Together with Martinho da Vila he has been awarded with the Grammy Award for the best samba album in the year 2016. He cooperated with Alcione, Marcelo D2, Chico César, Hamilton de Holanda, Marcos Suzano, Carlos Malta, Roberta Sá, Xangai, Gabriel Moura, Cátia de França, Guns N&#39; Roses, and many others. Santiago Ferreira is the singer, guitar player, composer and producer. When Santiago was 16, he signed a contract with Sony Music Brazil and had his music played across all Latin America. Currently Santiago and his band are promoting their new album &quot;Caracol&quot;, performing in different countries around the world. Jakub Skrha lived for a year in Rio de Janeiro, where he learned rhythms and percussion play from the best Brazilian teachers. He established the professional drumming show Ritmo Factory. 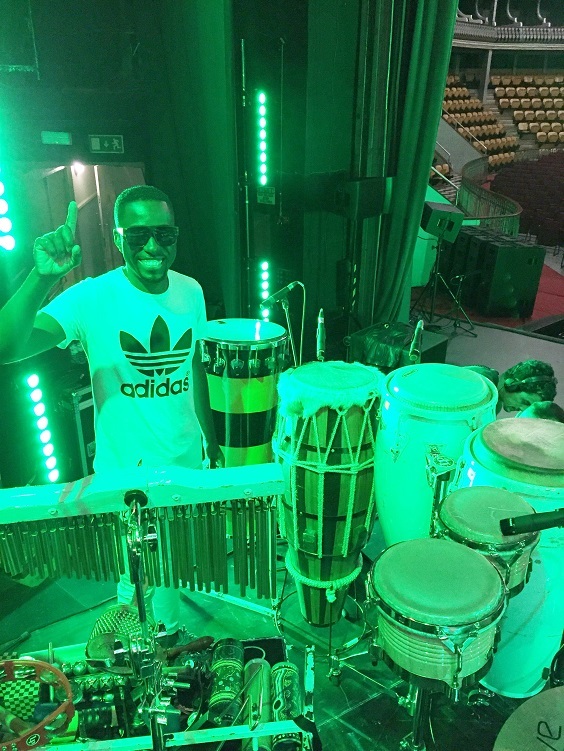 He plays the percussion with the prominent Czech singer Anna K and he also participated in the Czech Republic House opening during Rio de Janeiro Summer Olympic Games in 2016. Percussionist playing instruments from all over the world, graphic artist, composer, studio player. His instrument collection consists of more than 200 pieces. He studied with masters from Cuba, Brazil, Africa and USA. Since 2008, he regularly makes study trips to Brazil where he visit samba schools. He also plays his specially configured drum kit he combines with different kinds of ethnic drums, bells, cans and percussions, accompanied by his voice. He is the bandmaster of both Tam Tam Orchestra and Tam Tam Batucada. 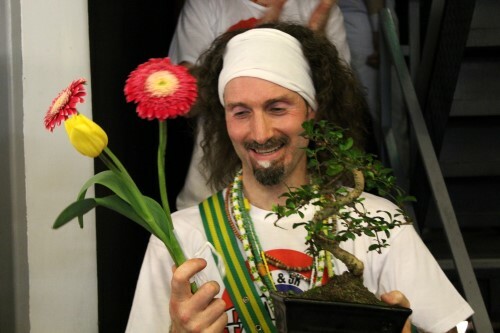 In April 2004 he founded the first samba school in Czech Republic. He published 11 CDs. He was a Duncan Prague Centre professor. During his career he performed in France, Italy, Austria, Belgium, Switzerland, Russia, Korea, Lebanon, Tunisia and China. Clarissa Altmann was born in 1975. After playing some musical instruments from the age of 6 til 16 like Flute, Fanfare, Trumpet, Piano and Guitar, she got in contact with Samba in 2001. Her first “real” Samba-Experience was 2006 a Batucada Masterclass in Germany at the yearly Samba-Festival Sambasyndrom with Ivo Meirelles from the famous samba school Mangueira. She fell in love with Rio Samba- Batucada & Funk and ended up by founding her Samba Group BATURIM in Summer 2007. More Batucada Masterclass Workshops in the following years 2007 & 2008 with Átila Gomes (from Imperio Serrano / Vila Isabel) and 2009 & 2010 with Nilo Sergio from Portela. She travelled several times to Rio de Janeiro where she also participated in Workshops with Mestre Jonas (Cubango/ Mocidade) as well as with the samba school Estácio de Sá which won 2015 from the Série A and is moving now to Grupo Especial. Rehearsals with different schools from Rio like from the Grupo Especial : Portela, Vila Isabel, Mangueira, Salgueiro, Grande Rio, Imperatriz Leopoldinense, & Estácio de Sá, as well as with Grupo de Acesso : Alegria da Zona Sul, Em Cima da Hora, Cubango and União de Jacarepaguá and different Blocos. She paraded through the Sambodromo at the Carnaval 2013 & 2015 with Alegria da Zona Sul and 2015 also with Portela (https://www.youtube.com/watch?v=yxIeoQUugQM). 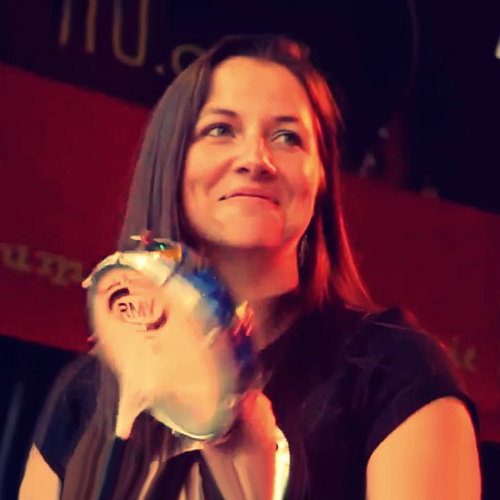 She is also a Member of Bloco X since 2007 and one of the musical directors from Bloco Coração founded 2011 (Samba Groups from Austria – Baturim, Sambagasch / Hungary-Girassol / Serbia-Sambansa / Croatia – Lagarto) ( and hopefully now also Tambores from Slovakia). Traveling through Europe and playing Batucada is her favourite Hobby. Mark was born in 1975 in Riel witch lies near Tilburg in the south of Holland. At the age of 8 he started playing percussion at the local music club. After high school he went to the technical school to study electronics but found out his hart lied more with music so after finishing electronics he started his study at the conservatory of Brabant. During his study he was occupied with learning various styles and instruments in classical music, contemporary music and world music. He gained experience in playing with symphonic orchestras, musicals, jazz bands, pop bands, big bands and percussion ensembles. In 1997 Mark joined the afro-Brazilian percussion group Medicamento and from then on, apart from playing drums, he started focussing more on percussion. As a percussionist he played with various bands and projects, such as the orchestra of the royal air force, the popular Belgium singer Dana Winner, the well-known funk-rock band Gotcha!, salsa-orchestras Latin Cruise and La Esencia. Mark played with the batucada-bands Bloco Coringa, Bloco X. 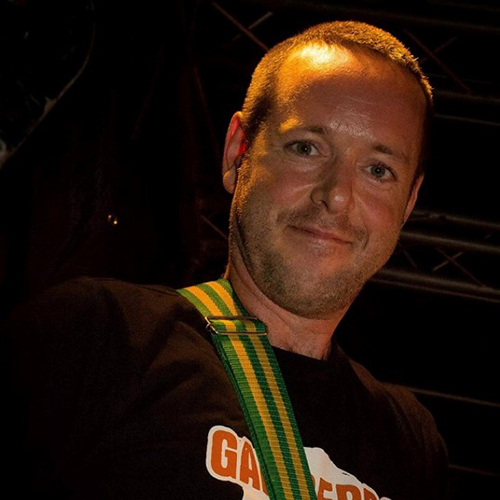 He worked as musical director with Casa the Samba and, for over 15 years, with Gamberro. 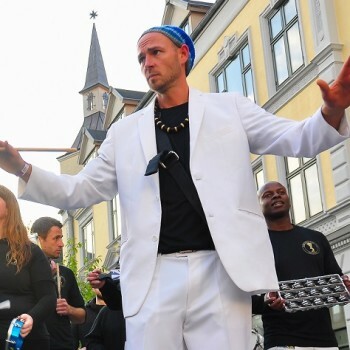 Besides playing Mark works as a music teacher at several music schools including Factorium Tilburg, he gives percussion workshops all around the country for several Afro-Brazilian percussion groups as well as business events. 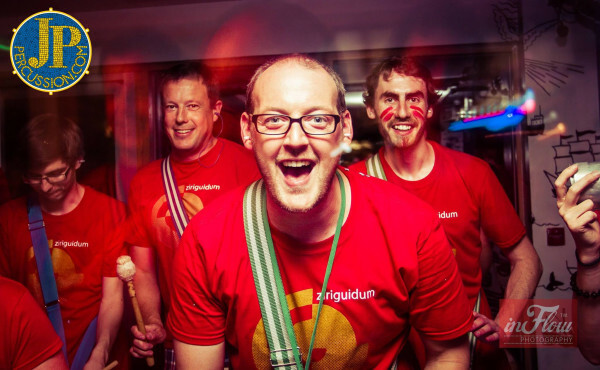 For more than 15 years, he is a teacher at percussion-school DanzaDanza, which is the largest samba-school in the Netherlands. In 2014 he was invited to work with Tam Tam Batucada in Prague. Chris was born in 1981 in Cologne/Germany. He participated in various intensive workshops in brazilian and cuban percussion with teachers like Dudu Tucci and Ravin Jayasuriya, played in a lot of percussion groups, founded and directed the samba school Unidos de Colônia, the samba group Suco Legal and played percussion in the Samba Funk band Muamba. 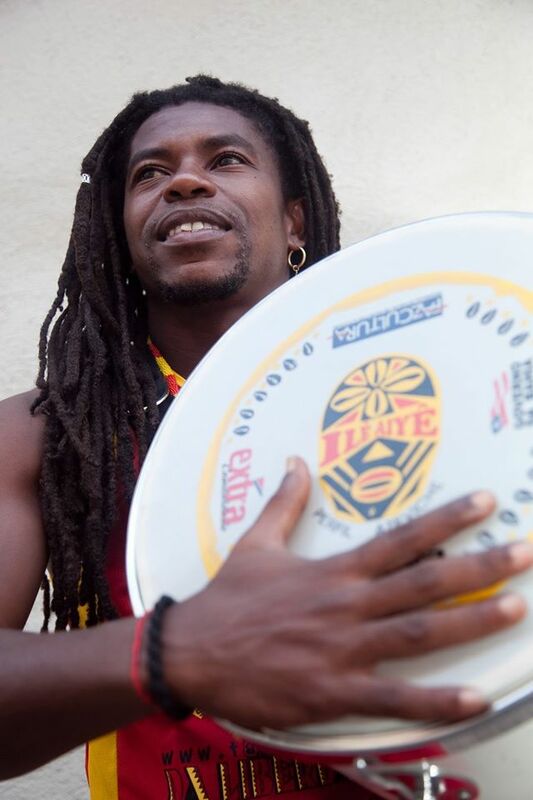 Nowadays he is a musical director of the Bloco X, singer and percussionist of the forró trio Capangas, percussionist of the Denise Krammer Trio, member of the Roda de Samba do Alemão and since 2004 he plays the Tamborim in the bateria of Unidos da Tijuca (winner of the Carnival in Rio de Janeiro in 2010, 2012 and 2014) among other samba schools in Rio. Serrinha Raíz was born in 1975 in Rio de Janeiro/Brazil. During his career as a musician, he has played with many great artists such as Jorge Aragão, Dona Ivone Lara, Monarco, etc. worked as a musical director of samba schools such as Unidos da Tijuca, Unidos de Padre Miguel, etc. and was part of the first selection for the showband in the Cidade do Samba, which is formed of the most prestigious Sambistas of Rios samba schools. He now works as a percussionist for various Rodas de Samba and bands, such as Batuque Digital, Samba da Alforria and Projeto Criolice, as director of the bateria of Estácio de Sá (his home samba school) and his own carnival bloco and as a teacher for brazilian percussion in one of the biggest brazilian companies “Petrobras”, as well as in social projects in the northeast of Brazil and Argentina. 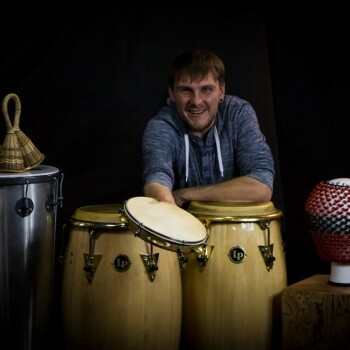 Jakub is a percussionist focused mainly on Brazil rhythms, but also Cuban music and Spanish flamenco. He studies both traditional and modern styles and likes to experiment. For 4 years he has played in Tam Tam Batucada with Miloš Vacík and cooperated with a lot of great musicians. 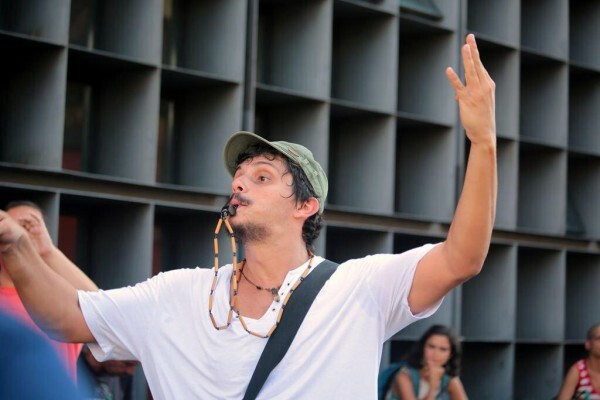 The breaking points in his musical career were study trips to Havana and Rio de Janeiro, where he took part in the workshops and studied at the best percussionists and lecturers – Bernardo Aguiar, Marcos Suzano. He also performed in Rio de Janeiro with the Unidos do Viradouro samba school…“amazing experience“. Dee Reggaetonera is a famous dancer, founder and choreographer of the Sangre Nueva dance group. Ste studied dance at the conservatory and university in Bratislava and worked in the musical theatre as well as in the River Park dance school as a lecturer. In 2004 she became an external member of the professional dance group in Barcelona. As a choreographer she cooperates with many Slovak groups and her choreographies were used also in the TV Show „The dance of dreams“. She performed at the Los Van Van, Los 4, El Micha, Bailando and Gente de Zona tours and also danced in the Eusebio Nicolas Mena video clip. Marivaldo Paim – Born in Salvador-Bahia, in 1971, Marivaldo began his artistic career in 1990, at the Associação Cultural Bloco Carnavalesco Ilê Aiyê. In 1991 he was appointed instructor and educator of Eê Banda (Ilê Aiyê’s children’s group), in which he taught percussion to children and adolescents. It was from 1993, thanks to his talent as a percussionist, that he became musical director of Band’Aiyê (main group of Ilê Aiyê). Since then there have been hundreds of national and international shows under his direction. In addition to his work as a composer and percussive arranger of Ilê Aiyê’s songs, Marivaldo also participated in arrangements and recordings of CDs by artists such as Caetano Veloso, Daniela Mercury, Ivete Sangalo, Virginia Rodrigues, Margarete Menezes, Moraes Moreira, as well as Disc “30 Years of Tropicália”. In 2000, thanks to one of his numerous tours with Ilê Aiyê, his European adventure began and in 2005 he decided to settle down in France. In Europe he recorded with Arto Lindsay, Bob Sinclar, Salomé de Bahia and Luma Lourenço. 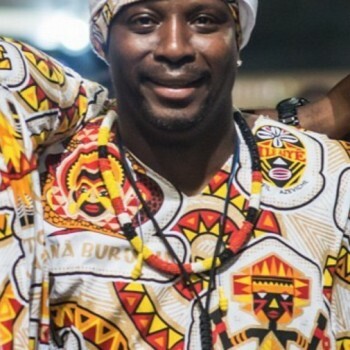 His European career does not prevent him from governing the 150 percussionists of Ilê Aiyê every year during the famous Salvador carnival in Bahia. He’s had that honour since 1992! Nowadays, it is very much applied in the teaching of percussion and it is much requested by groups from all over France and Europe to give workshops and masterclasses. As soon as he arrived in Paris, he joined the School specialized in Brazilian culture „Sambacademia“, where he works both as an artist and teacher. Alongside Roberta Paim, he created several projects: in 2006 the Banda’Ê-Tribal, Afro-Bahian percussion; In 2016 Samb’Ebi, samba formation and October Afro, project of musico-socio-cultural trips to Salvador-BA; In 2017 Ebíjáeyô, which gathers the children of the Afro Ilê Aiyê Block that now live outside Brazil. Roberta Paim – Brazilian born in Brazil and raised between Salvador-Bahia and São Paulo, the young maestro begins her musical life through singing and classical piano, still in her childhood, when she lived in Brazil. In 1999 she arrives in Paris, where her interest in “Bahian street music” is born. It was also in Paris in 2000, at the “Latitudes Brésil” Festival, that she had her first contact with the Afro Ilê Aiyê Block and the Portela Samba School. This is where she started her Brazilian percussion, during which she was able to count on the teachings of great Masters, such as: Mestre Marivaldo Paim (Ilê Aiyê – Salvador), Mestre Neguinho do Samba (Olodum / Didà – Salvador), Mestre Bernardo José (Maracatu Nation Pernambuco – Olinda). In 2002 she created her own group, Zalindê, an exclusive female training, in which she developed a choreographic work around percussion. In 2006, she joined the singing of her career and participated in the projects “Alma Luma & Só Do Samba” and “Pedrão do Maranhão”, as chorus-percussionist. In addition to the scenic work, since 2003 Roberta has been developing a series of workshops for adults and children in schools, cultural and social centres, houses of detention, festivals or private events in France and Europe in general, such as at the festival “Samba Syndrom” from Berlin – Germany, at the “Percumón” in Valencia – Spain and at the “Internationales Samba Festival” in Coburg – Germany. “My name is Julian Kramper, I’m from Hamburg, Germany. 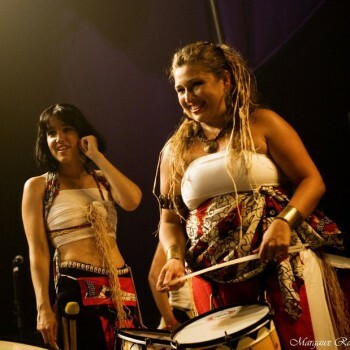 I have been in the European samba scene since 2000, teaching samba percussion instantly became my passion! By traveling through Europe and attending workshops, I gathered experience by watching great players and mestres from various styles. My first influences were Ilê Aiyê from Salvador da Bahia with the great Marivaldo. In 2001, my first mestre was Dudu Tucci, who taught me through 2 years of his highly inspiring educational program Raízes do Brazil. In 2004, I got more and more into samba carioca. The following years I filled with workshops with Mestre Jonas (Mocidade), Ivo Mereilles (Funk’n’Lata, Mangueira), Mestre Atila, Mestre Marcone, Mestre Nilo Sergio (Portela) as well as great mestres from Europe plus many nights of playing within the European samba scene and Bloco X. All this has brought me to experimenting and improvising with huge international baterias and any samba bateria setup. Do you like latino rhythms and Brazil percussion? 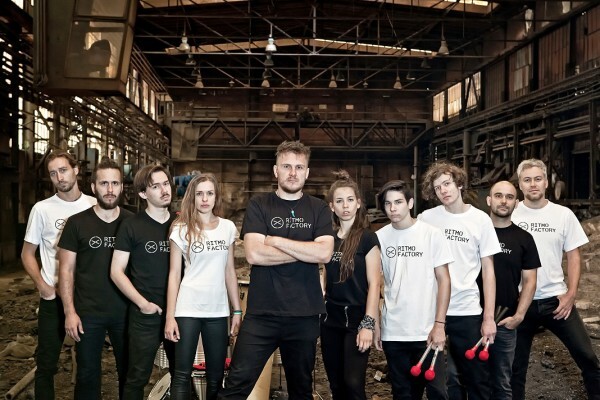 Would you like to be a part of the drum orchestra? 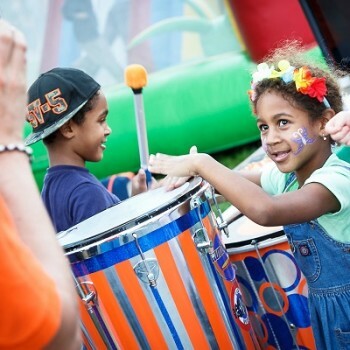 Join us on Sunday 4th June in the OC Centro Nitra (Akademická 1) – the workshop for both children and adults will be lead by the drummers show Tambores /Nitra/. Free entry. 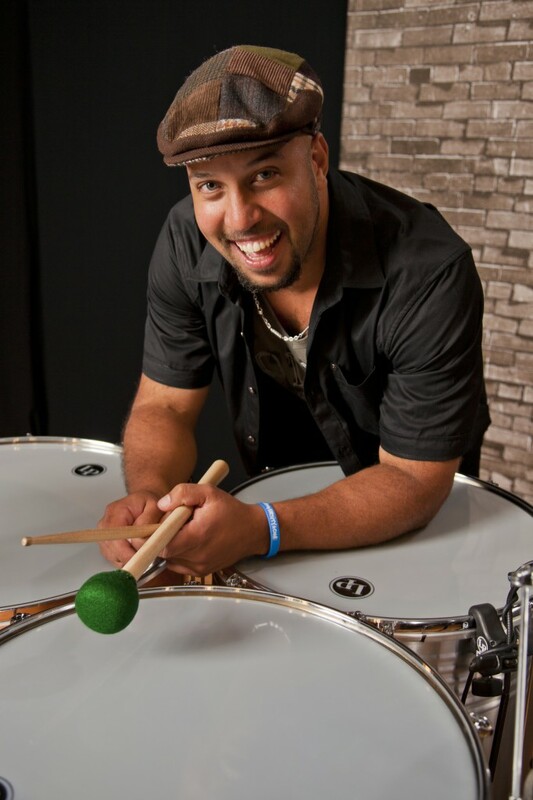 A contemporary percussionist and educator, Marcus, is a native of Bahia, Brazil. He commits his life to the study, teaching and performance of his hometown´s Afro-Brazilian music and heritage. Marcus performed with several world renown artists such as the Gypsy Kings (Spain), Daniela Mercury (Brazil) and the Brand New Heavies (England). He has also performed for the president of Brazil, TEDx and with the “One World Band” produced by MTV. Marcus also played at the Sony Pictures Oscar nominated movie ´Rachel´s getting Married’ with Anne Hathaway. He has been honored with the 2013 KOSA Recognition award, Outstanding Arts Performer Award by the Brazilian Immigrant Center (2008) as well as Outstanding Percussionist Award by Berklee College of Music in 2004. Marcus currently teaches in the Boston area at New England Conservatory, Middlesex Community College and Somerville High School. He is the author of the DVD ‘Modern Approach to Pandeiro’ and performed in the music education DVD ‘Musically Speaking II’ by BOSE. 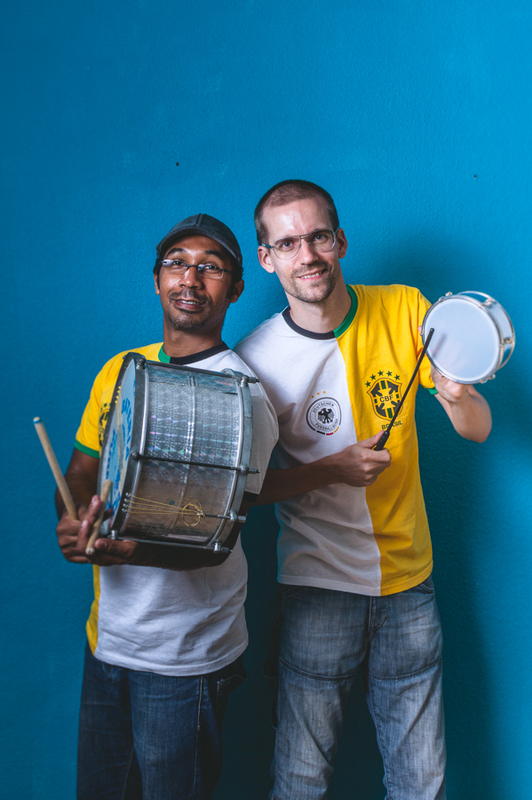 Marcus has lead workshops on Afro-Brazilian percussion and music for Social Change in festivals, universities and conventions around the world such as Fiesta Del Tambor (Cuba), Carnegie Hall (NYC), PASIC (USA) and Harvard University. He is currently the artist director of the Grooversity global drumming network project that includes twenty four drumming groups from the US, Canada, Germany, Mexico and France. 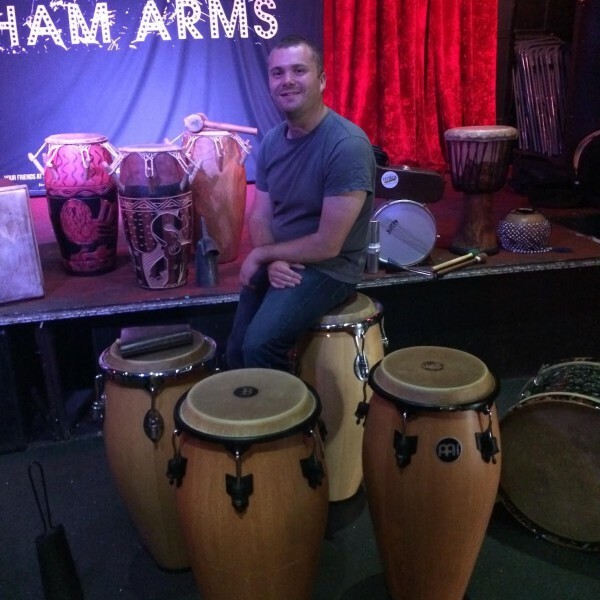 JP Courtney is a professional percussionist, performer, tutor and event organizer from Ireland who is specialized in folk and carnival music from Cuba and Brazil. He is considered one of the best talents in his field in the UK and a reference for rhythmical information on the modern street carnival of Rio de Janeiro. Some performances to date include Womad, Thames festival, Glastonbury and Rhythms of the World festival, Rio carnival and many venues and events in Rio de Janeiro including Circo Voador, Fundição Progresso, Carioca da Gema, Encontro de Blocos and more. Having been a member of the Monobloco show band JP is well placed as an educator of the modern sounds of the “Carnaval Carioca” (Rio carnival). 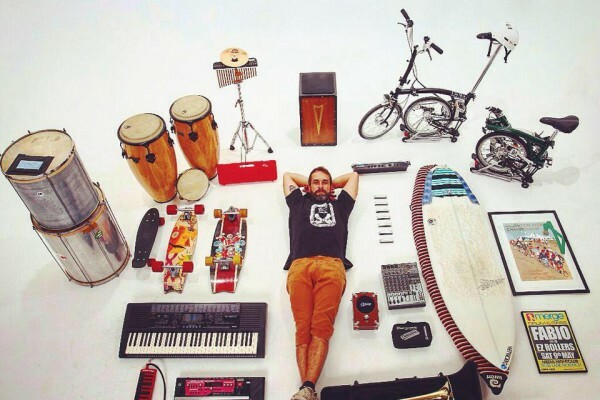 He regularly travels to Brazil where he performs and organizes the highly successful Escola de Bateria Rio course. He has also taught workshops in Rio to great success. Most recently with the members of DuRio, a bloco run by past members of Monobloco. Versatility and innovation have always been trademarks of the artist Fabio Allman, who started his music career with rock and blues and that in the most creative moment of rock and roll in Rio de Janeiro in the 90s stablished important partnerships with artists like Cassia Eller and Nando Reis. In the late 90s Fabio was an important figure in the renovation of Rio´s Street Carnival standing as one if the most active musicians of the movement. Being part of blocos like Bangalafumenga and Monobloco for 16 years, he took his energy and charisma and conquered fans all over Brazil and the world. As a musician and educator Fabio has travelled to several countries since 2007. Nowadays he divides his time between Europe and Brazil, following the summer, taking Brazilian music and culture where he goes. From Rock to Samba, from Blues to Batucada, from Pop to Romantic, riding trough different styles, Fabio marks his presence as a versatile interpreter and a great singer. Jeremy Shaverin is a percussionist, pianist, cavaco player, composer and teacher based in London. He specialises in both folkloric and modern styles of Brazilian, Cuban and African music. Jeremy plays with and directs a number of groups, including Alvorada, Rhythms of the City, Paraiso School of Samba, Talking Drum and the Christiane Petersen Trio, among other projects. He has taught at Middlesex University, City, University of London and the British Institute of Modern Music (BIMM) as well as in many London schools. Jeremy plays a range of instruments at festivals, carnivals, and clubs around London, the UK and internationally. Recent highlights include performing in Rio de Janeiro’s carnival parade, and shows in Rio de Janeiro, Stockholm and Glasgow; performing at events including Lovebox, Notting Hill Carnival and for the 2012 Olympic and Paralympic Games; having his compositions performed in London and abroad; recording for SporTV (Brazil), Resonance FM and BBC TV (UK) and writing for Jungle Drums.